“Customers spent nearly $24 million on recreational marijuana products in the first two months of sales, according to data from the state’s Cannabis Control Commission. “From Nov. 20 — when the state’s first two recreational stores opened in Leicester and Northampton — to Jan. 20, customers spent $23,819,602. There are now eight recreational stores open across the state, and a ninth store in Hudson has its “commence operations” notice from the state but has not announced an opening date. “Revenue was about $3.4 million last week, a record weekly total, according to data from the commission. This past weekend also hit a record for its largest single-day revenue figures (though the weekend also saw one of the lowest revenue days so far). “The nearly $24 million gross sale total does not include taxes — 17 percent for the state (a 6.25 percent sales tax and a 10.75 percent marijuana excise tax) and 3 percent for the municipality. 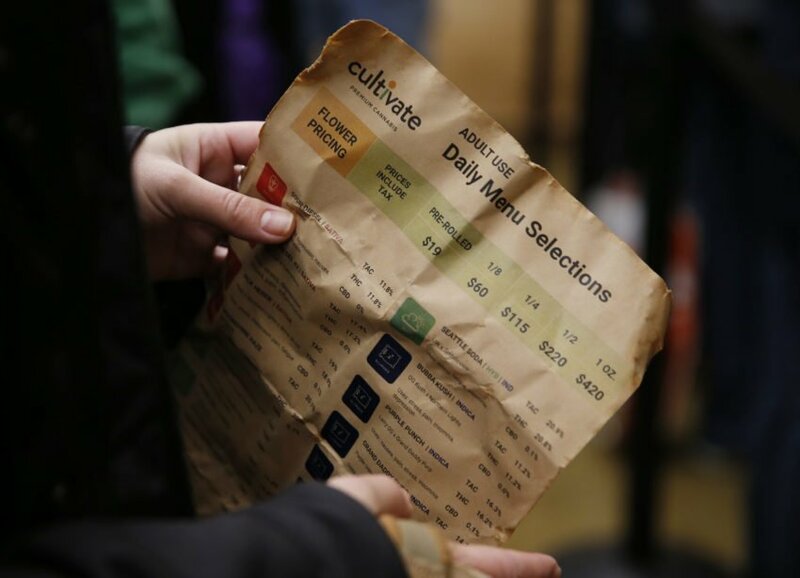 Leicester, MA, 11/20/2018 – A customer holds a menu at the opening of Cultivate, one of the state’s first two pot shops. 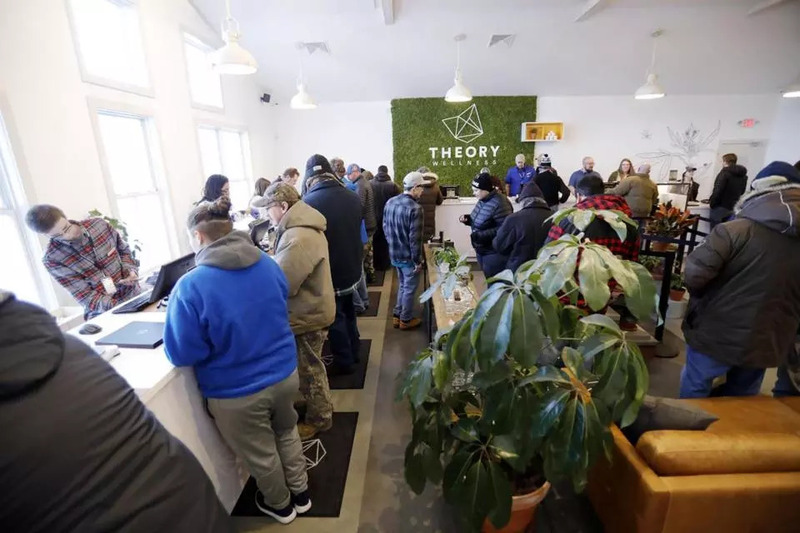 November 20, 2018 was the first day the store could sell recreational marijuana to adults 21 and older. Estimates show that by Legalizing, Taxing, and Regulating cannabis, “it’s conceivable that the State of Alabama could reasonably expect to generate AT LEAST between $79,530,000 to $200,951,100 annually if they Legalized, Taxed, and Regulated the sale of marijuana for Adult Recreational Use and Medical Use. Again, the initial figures coming in from Massachusetts are in line with Alabama’s estimates. It’s time to LEGALIZE, TAX, and REGULATE cannabis in Alabama for Adult Recreational, and Medical Use. This entry was posted on Thursday, January 24, 2019 at 2:46 PM	and is filed under - Business... None of yours, - My Hometown is the sweetest place I know, - Politics... that "dirty" little "game" that first begins in the home., - Read 'em and weep: The Daily News. Tagged: AL, Alabama, cannabis, marijuana, money, Revenue, tax. You can follow any responses to this entry through the RSS 2.0 feed. You can leave a response, or trackback from your own site.